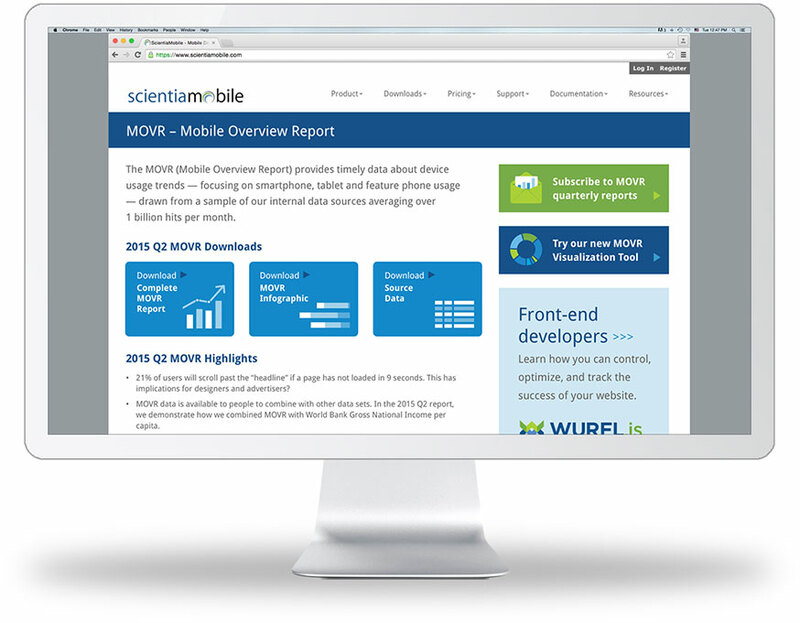 ScientiaMobile, recognized by Red Herring as one of the Top 100 most exciting startups in the world, collects massive amounts of data to improve the mobile web experience. They create products that monitor web usage to help web developers and advertisers better target their consumers across the globe. We were asked to help this innovative, fast-growing company discern their look and disseminate their data clearly and succinctly. We created logos for their ImageEngine and WURFL products that align with the company brand and speak to the nature of the products. For their quarterly report, infographics helped simplify the data and highlight the most salient information. We also provided website support, redesigning landing pages to be more user friendly.